Kenacort injection 40 mg and 10 mg (Triamcinolone Acetonide injectable suspension) is a synthetic glucocorticoid corticosteroid with anti-inflammatory action. The intramuscular administration of Kenacort 40 mg injection is used for systemic corticosteroid therapy in such conditions as allergic diseases, dermatoses, or generalised rheumatoid arthritis and other connective tissue disorders. Kenacort injections are manufactured by Piramal Healthcare in the strengths of 40 mg and 10 mg. The active ingredient present in Kenacort injection (Generic Kenalog) is Triamcinolone Acetonide. Each Kenacort injection contains 10 mg or 40 mg Triamcinolone Acetonide in 1 ml injectable suspension. Generic Kenalog Injection 40 mg and 10 mg is indicated for intra-articular or intrasynovial administration, and for injections into tendon sheaths, as adjunctive therapy for short-term administration (to tide the patient over an acute episode or exacerbation) in: synovitis of osteoarthritis, rheumatoid arthritis, acute and subacute bursitis, acute gouty arthritis, epicondylitis, acute nonspecific tenosynovitis, post-traumatic osteoarthritis. Kenalog injection is a Sterile Triamcinolone Acetonide Suspension USP suitable for intralesional and intra-articular injection. It is a synthetic glucocorticoid corticosteroid with marked anti-inflammatory action. Each milliliter of this injection contains 10 mg of Triamcinolone acetonide, with sodium chloride for isotonicity, 0.9% (w/v) benzyl alcohol as a preservative, 0.75% carboxymethylcellulose sodium, and 0.04% polysorbate 80; sodium hydroxide or hydrochloric acid may have been added to adjust pH between 5.0 and 7.5. The air in the container is replaced by nitrogen at the time of manufacturing. We supply Kenacort by Nicholas Piramal. Each vial contains 1ml of 40 mg or 10 mg.
Tell your doctor or healthcare provider if you are pregnant or intend to become pregnant before taking Generic Kenalog. You should also inform about your medical history and list all medications currently and recently taken. Do not use this medicine without your doctor's consent in case you are pregnant. Stop using this medication and inform your doctor immediately if you become pregnant during treatment. You can buy Generic Kenalog injection online from Clear Sky Pharmacy at a cheap price. Kenacort Injection 10 mg and 40 mg, manufactured by Piramal Healthcare, India are supplied in a vial (injection) of 1 ml. 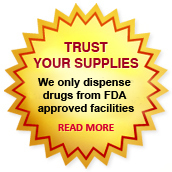 Kenacort 10 mg injections cost only $4 per unit when you place an order for 20 injections.